Overweight and obesity are the two of the leading reasons for global death. Nearly, two billion people in the world are obese or overweight. Being overweight, not just obese, still carries serious health risks chronic diseases like Diabetes, heart diseases and even cancer. We cannot afford to be overweight or obese. In this article, we are discussing healthy food items that make us fat. Even though dried foods are packed with vitamins and minerals, you would not realize how high in calories they are, as well. Dried fruits have five to eight (5 – 8) more calories that fresh foods. For example, fresh grape have six calories per cup whereas a serving size of 1 cup of packed seedless Raisins have up to 460 calories. If you need a food between your meals to fuel you up and give you strength and energy while you at work or out of your home, go for some quick and easy high protein snacks that are also low in fat and calories. Salads are often presented as a healthier option, however this might not be the case. While salads contain health ingredients like vegetables and leafy greens, it is often buried under a layer of salad dressings which is high in calories. 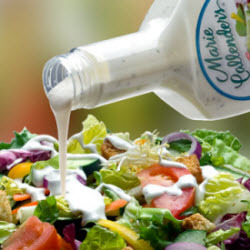 So, if you are opting for a salad, avoid any salad dressing, topping recipes or anything that has to do with mayonnaise. There are Healthy recipes that actually taste good and are packed with protein, wholegrains, vegetables and fruits. These healthy salad recipes will help you lose fat and weight and build muscle mass, as well. Flavored yogurt has 15 or more grams of sugar which is like four full big spoons of sugar. Always, opt for the light or non-fat yogurt. These days, if you add Wheat to any carbohydrate, it instantly becomes flavored wheat product. If it is 100% wheat, bread can contain enriched flour which can cause fight and crash in your sugar and have no nutritional value. Wheat bread and any wheat-based products like muffins, pasta, pizza and cookies increase your risk of becoming overweight or obese. 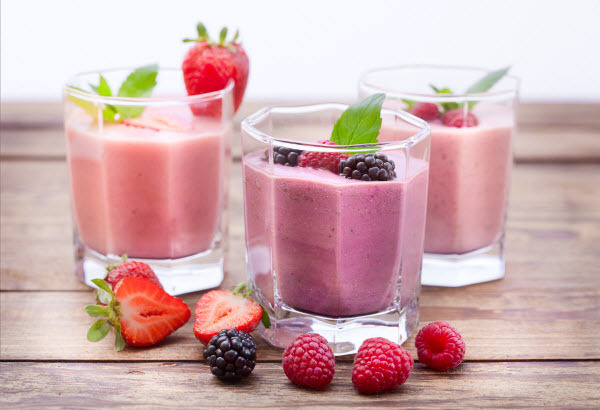 Do you drink smoothies to fight your hunger and stop feeling hungry anymore? In that sense you are wrong. Smoothies pose a new threat to our health. The amount of sugar in these drinks is bad for our health. 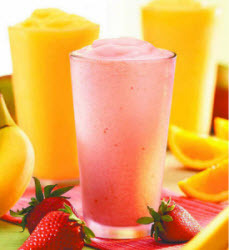 Smoothies are loaded with fat, sugar, calories and other ingredients that can have a negative effect on your body. You would be better off if you drank vegetable juice. Many of you may have been taught to choose brown rice over white rice. However, brown rice may not help you if you intend to lose these extra pounds. Brown rice has five grams of carbohydrates per serving which is too much if you are into a weight loss endeavor. Many of you are hooked on diet drinks when you watch tv. Actually, diet drinks cause you significant weight gain. Research has shown that people who drink diet drinks have a 70% increase in their waistline than those who drink now of these. For example, diet sodas are very popular around the world because they have lower amounts of calories and sugar. However, diet sodas are loaded with artificial colors, artificial flavors, sweeteners and preservatives. We all know that alcohol and weight loss are great enemies, still though some people continue having those drinks occasionally. 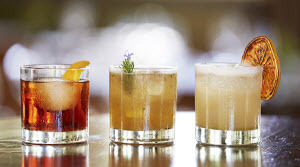 Today, let’s see how bad alcohol can be if you are aiming to shed those extra kilos. 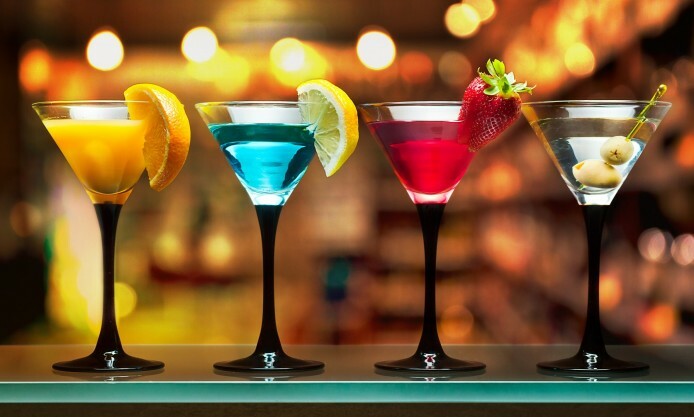 So, when your body is focusing on processing the alcohol that you have consumed, it loses its focus on properly breaking down food containing carbohydrates and fat. These substances are turned into body and permanently stored in your body. Also, alcohol slows down your metabolism, making it easier to gain weight and fat. 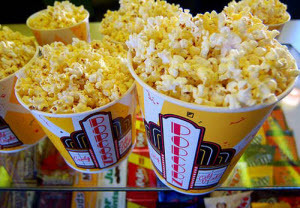 This snack can lose its credential as a healthy snack if you add butter and other fillings available at the movie theatre. It is also consumed in large quantities and encourage people to eat more than what they should consume. There is more in ketchup than just tomatoes as it is made of 20% sugar which contributes to a significant number of calories.